Very ornate and not for the weak at heart! A generous helping of 'Olde Colonial' hand craftsmanship. A beautiful candelabra wall light for your larger Powder room? Beside your fireplace? 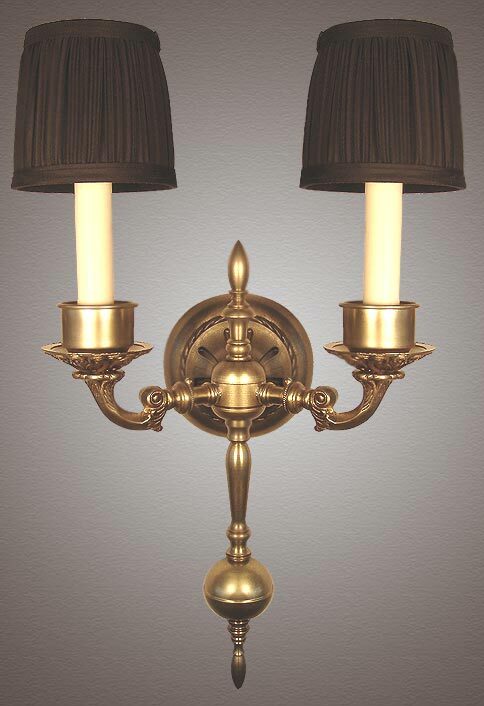 Solid brass construction and a petite black mushroom pleat fabric shades clip on to a candelabra base light bulb. Everything on this one makes the statement! Width 11 In. / Projection 9 In. / Depth 19 In.